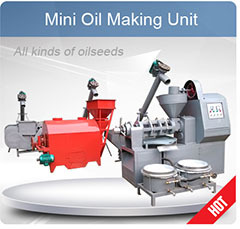 KMEC supplys premium quality oil screw press for processing various types of oilseeds. 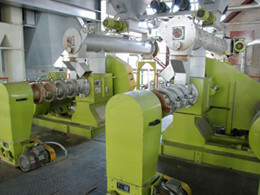 Our auto-matically oil press, hydraulic press and screw oil press to process the materials such as corn, soybean, peanut etc. 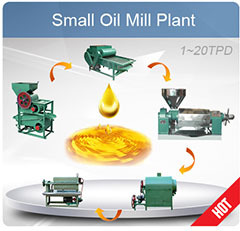 With many years’experience of manufacturing and exporting oil screw press and other seed processing machinery across the world, we are your trustable screw oil press supplier directly from China. 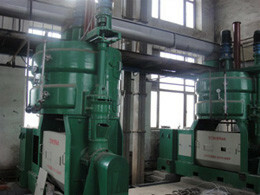 The quality of our oil screw presses is ensured by international market with favorable prices. 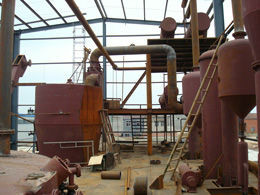 The working principle of oil screw press is to extract the lipin from raw material by outside mechanical power. In the working process of the screw oil press, the generant change is mainly physical transformation, such as change of shapes of materials, separation of lipin, heat by friciton, evaporation of moisture etc. But because of temperature, moisture and microbe influenced in the working of oil screw press, there is some change in biochemical, such as denaturalization of proteid, passivation and broken of enzyme and combination of certain materials etc. 1. Raw Material Preparation: The pretreatment and raw material itself determine the good or bad of raw material feeding for screw press. The good raw material feeding to oil press machine requires suitable similiar size of granule, the identical structures of granule inside and outside. 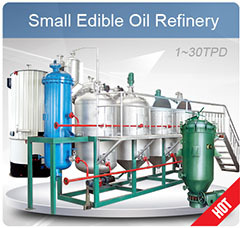 The less quantity of whole cells, the better profit for oil press. The big volume weight, the better under the condition of no influence of oil screw press's inside and outside structures. The ropy of lipin and surface tension should be low. Above all, the granule for screw oil press needs full plasticity. The temperature, moisture and denaturalization of proteid can influence the plasticity of granule for oil press. Generally, when the moisture increases, the plasticity of oil screw press will increase gradually. 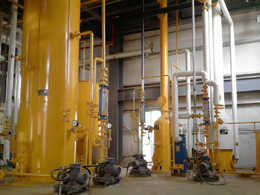 When the moisture meet a certain point, the oil extraction reach best condition. The point of moisture content is called Best Moisture or Critical Moisture. 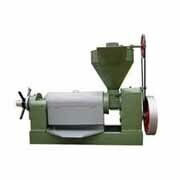 Generally, the increase of heat will increase the plasticity of granule for oil press. The cooled material have low plasticity. The denaturalization of proteid can make the plasticity of granule for oil screw press falling down. If too much cooking will make the proteid of material metamorphic. 2. 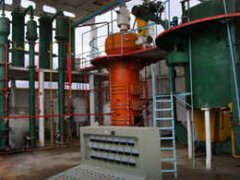 Condition of Oil Screw Press: Except the self condition of material, the oil screw press conditions such as pressure, time, temperature, thickness of material layer, resistance of expelling of oil etc are the decisive factor for oil extration. We apply ourselves to the development, manufacture and sales of screw oil presses and new automatically combined oil presses. Our company has been awarded by government many times as the key manufacturers of oil screw presses. With strong technical force, complete seed processing equipment, strict test process, mature marketing sales, good after service, our company passed ISO9001:2000 Quality Authentication first at the same field. Contact us in the following form if you prefer to know more information about our screw oil presses, we are ready to serve you at any time.